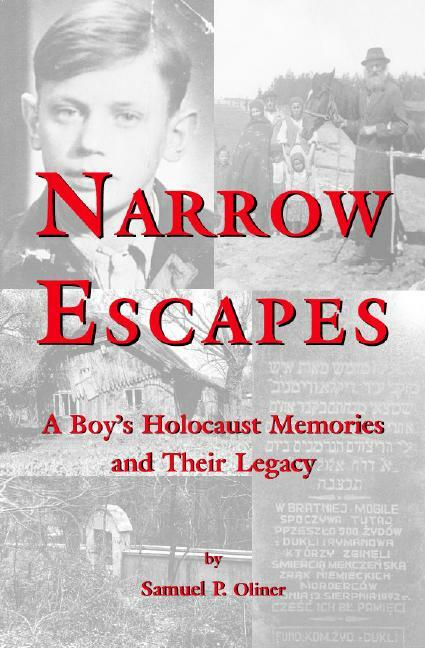 Narrow Escapes makes an important contribution to the understanding of the horrors of the Holocaust as experienced by a twelve year old boy. It will touch readers as they share the experiences of young holocaust survivors. This book is ultimately a story that expresses a sense of optimism, despite the horrors expressed in it. In the foreward, John Roth states, “Narrow Escapes defines Samuel Oliner’s life in more ways than one. Not only is he a Holocaust survivor who barely eluded the genocidal “Final Solution” that Nazi Germany unleashed on the European Jews during the Second World War. Oliner is also a groundbreaking Holocaust scholar who has focused attention on the rescuers—small in number but immensely significant nonetheless—who risked their lives to give Jews life-saving narrow escapes during those dark times. Oliner’s personal experience of the Holocaust produced memories that have never left him. Oliner’s significant epilogue in this new edition both updates his story and helps to show how his narrow escape led to a remarkable career.” Narrow Escapes is readable and recommended for all ages, including elementary, high school, and college students. SAMUEL P. OLINER is a professor of Sociology at Humboldt State University, in Arcata, CA. He teaches in the area of race relations, anti-Semitism, genocide, the Holocaust, altruism and prosocial behavior. Dr. Oliner has written and co-authored many books, including The Altruistic Personality: Rescuers of Jews in Nazi Europe.